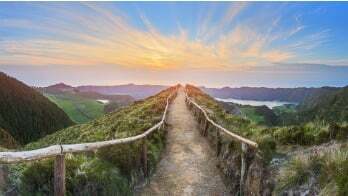 In my career as a retirement professional, I believe that the IRA beneficiary designation is the section of the IRA document that is most over looked by most IRA holders. Common mistakes by IRA holders include skipping or not completing this section or not providing pertinent information. The information contained in this section is what provides guidance to the IRA custodian/trustee on who gets the assets upon the death of the IRA holder. Understanding how beneficiary designation forms work is essential in making sure the IRA holder understand how their assets will flow through to their beneficiary(ies) upon death. 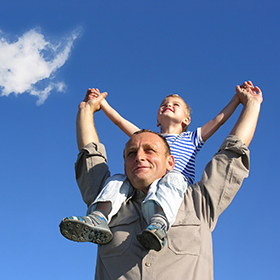 There are typically two types of beneficiaries available in a standard beneficiary designation form. The first one is the primary beneficiary or beneficiaries. The primary beneficiary is the first person(s) who will receive the assets of an IRA holder upon death. Most beneficiary designations are also written in a “per capita” method. This means that when there are multiple beneficiaries named, if one of the beneficiaries dies before the IRA holder, their portion will be divided among the remaining primary beneficiaries. An IRA holder can also name a contingent beneficiary or beneficiaries. Contingent beneficiaries only come into play when all beneficiaries pass away before the IRA holder or disclaim their proportionate share. As an example, Joe and Mary are named as primary beneficiaries with a 50/50 split. Martha is named as a contingent beneficiary. Martha will move up to the primary position only if Joe and Mary both either die before the IRA holder and/or both disclaim their proportionate share. It is advisable to name a beneficiary. Some IRA holders skip or forget to name a beneficiary under their IRA. Most documents are drafted to automatically name a default beneficiary in this situation. The typical beneficiary named as a default is the deceased IRA holder’s estate. Estates that are named as the beneficiary can cause the asset to enter a probate process. The probate process is made public and is used by the court to determine who gets the assets in an individual’s estate. The document used by the court to identify the beneficiary(ies) would be the will of the deceased. If the individual dies without a will, also known as intestate, the assets go into a deeper probate process. Additional steps to this process could be costly and may also unintentionally award the assets to the wrong individuals. It is important for the IRA holder to provide pertinent information on the form about the beneficiary including but not limited to social security numbers, addresses, emails addresses and relationship. This will help assist the custodians and trustees in contacting beneficiary(ies) upon receipt of the death certificate. For more educational information about self-directed IRAs and how they work, please visit our Learning Center and browse from an array of articles, whitepapers, resources, videos and more.